The Fashion Lift: The Item of Clothing you did not think you needed..but you do!! The Item of Clothing you did not think you needed..but you do!! 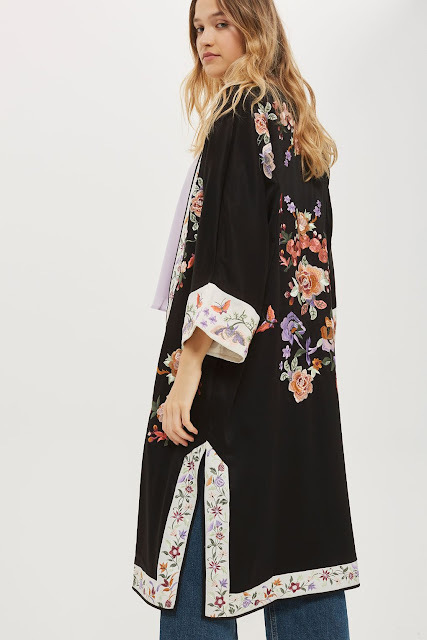 I love this kaftan, it is a navy base (would look gorgeous over a navy swimsuit) The embroidery is beautiful, stunning colours to mix and match with, it would look fab over a dark red dress in the evening on holiday, the perfect day to evening item. A subtle, velevet kaftan, the black edging on this makes it the perfect item for over a black camisole, jeans or shorts and flips flops for the perfect dressed up but dressed down holiday look. 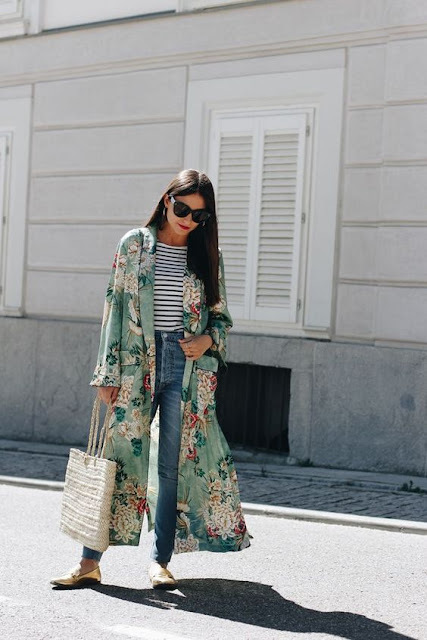 Add a pair of pointed mules, denim shorts and a pale green silk camisole top for the most beautiful summer look. This soft blue colour would look stunning against sunkissed skin and gorgeous over a brightly colour or navy bikini or swimsuit. 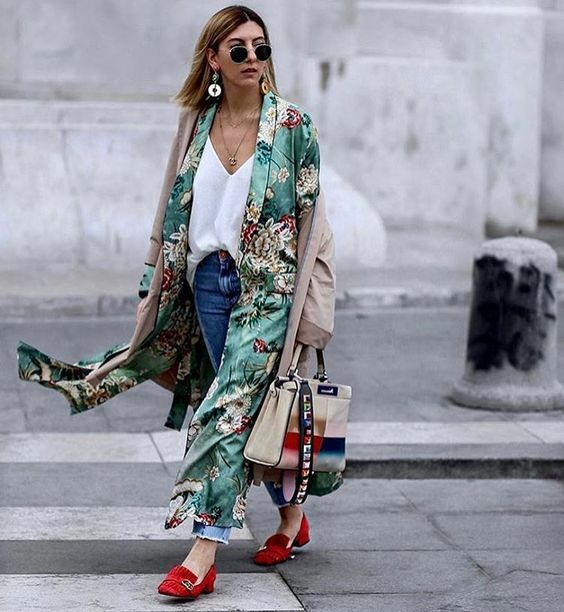 If you fancy dabbling in the trend but do not want to spend lots of money, this chic kaftan ticks all the boxes without being super expensive. 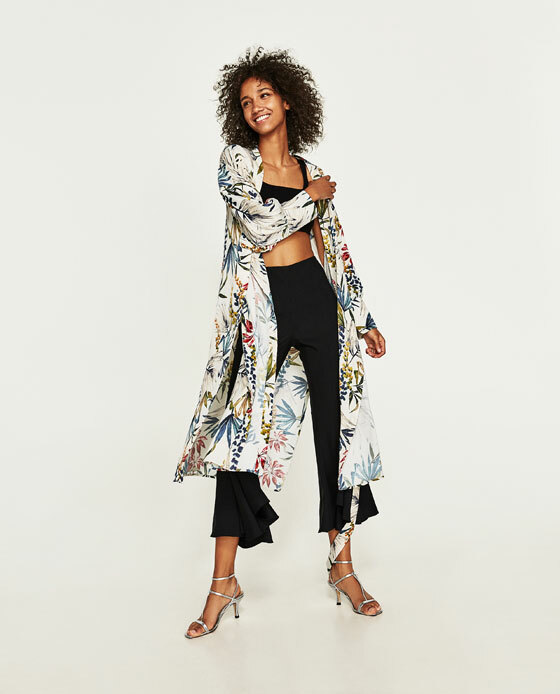 Super chic, very St Tropez, this kimono has gorgeous side splits perfect for over swimwear or jeans. This is the same kimono seen on a couple of the streetstylers above, it looks stunning on, perfect over a breton and jeans. A beautiful really soft pink colour, again this would look fab against sunkissed, over a black bikini or swimsuit but equally as good over pale blue, ankle length jeans and a white tee. 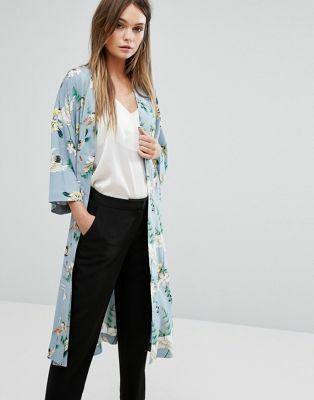 My sister came around with this kimono on and it looked so amazing on her, super chic and stylish so I 'borrowed' it from her (in the hope she may forget about it!!) They are great on, this one is quite heavy, the embroidery is stunning and covers up perfectly, flatteringly, with a cool edge, how did I live without a kimono before?!! There is 20% off EVERYTHING on the Asos website today..just click this link and write SWEET at the check out!! 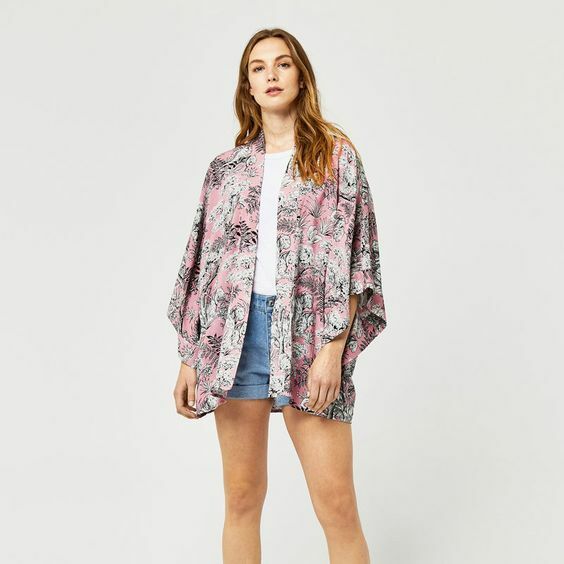 I have a short kimono from last summer, it's a great cover up, I can wear it as an extra layer on colder days (looks great over a long sleeved breton), or as a cover up on the way to the beach with shorts and swimsuit. I've worth it over a dress for a party, and with jeans at the weekend. A do all, go anywhere multi tasking item, will definately be in my suitcase this summer! That should have read "I've worn it over a dress"! The embroidery importance formerly being place much lower but today being placed the great importance of embroidery. As I see in these images above, that all costumes are very beautiful. 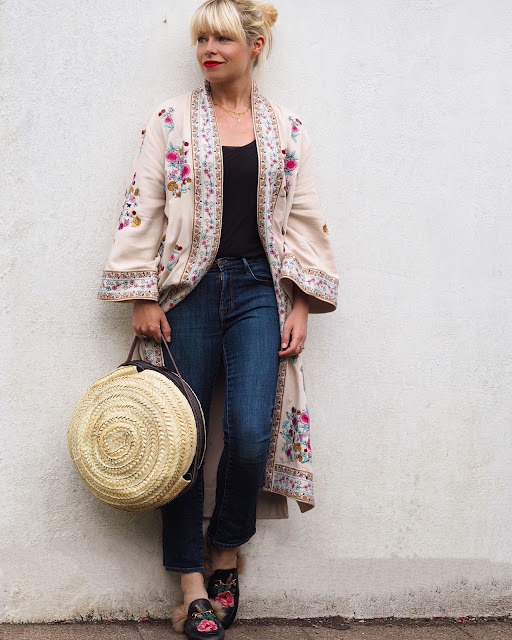 I like hand embroidered coats so much and this article will help definitely help me for choose perfect costume. 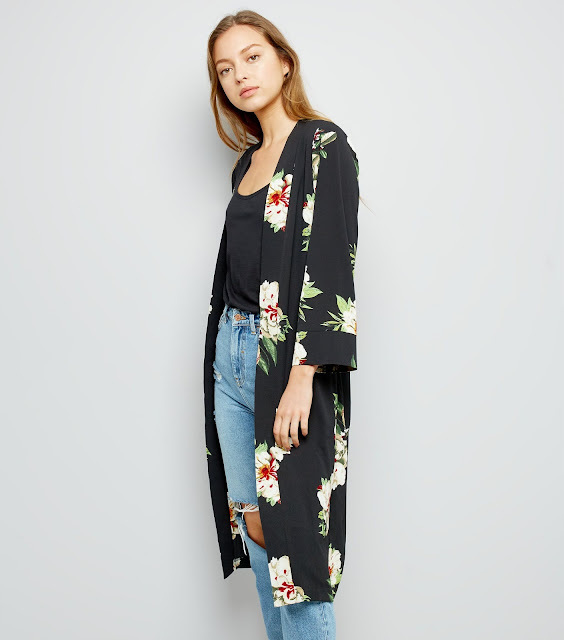 I really like the kimono. It's sharp and stylish look me nice.